Combine perfectly-formed canapés paired with tall flutes of crisp, bubbly champagne and exclusive, uninterrupted trackside views: and you're looking at one of the most luxurious experiences that Victoria has to offer. It's all on (and more!) at the Ladbrokes Blue Diamond Stakes Day this month. Your premium drinks and gourmet catering from the excellent Tommy Collins will be served throughout the day, with a very special Instagram-worthy appearance from the Veuve Clicquot Airstream trailer, which you'll spot thanks to its sleek aluminium body and signature yellow stripe. And in even better news—the Bondi Sands Pool Party is serving up red hot summer fun from its prime spot on the lawn, while the likes of the Pimm's Bar and burgers from Royale Brothers will be providing even more delicious fuel for the day. But wait, there’s more. More? HEAPS MORE. The Ladbrokes Blue Diamond Stakes Day is the crown jewel of Victoria’s Festival of Racing, some of Australia’s fastest thoroughbreds will be racing for a cool $1.5 million. So not only is the event jam-packed with live entertainment and gourmet offerings that’ll have you loosening your belt and meandering home at a slow trot, but it’s the richest two-year-old event on the Victorian racing calendar. This fantastic day of summer fun is perfect for everyone. 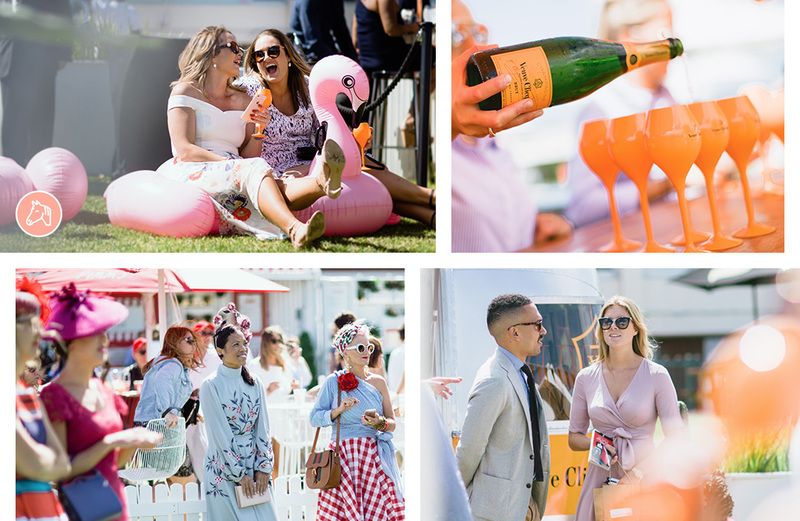 So, grab your mates, grab your kids, grab your wallet and head to the link here to book your tickets to the premier racing (and dining) event of the season. For more info and to book your tickets, head to the Melbourne Racing Club website here. Editor's note: This article is proudly sponsored by the Melbourne Racing Club and endorsed by The Urban List. Thank you for supporting the sponsors who make The Urban List possible. Click here for more information on our editorial policy.